The Kepler Space Telescope has found 219 new exoplanet candidates, bringing its total to 4,034, according to NASA. Kepler's latest finds include 10 planet candidates about the size of Earth in their stars' habitable zones. Massive volcanic eruptions about 200 million years ago may have led to a mass extinction that allowed dinosaurs to flourish, according to findings published in the Proceedings of the National Academy of Sciences. Researchers measured ancient mercury left behind by volcanoes that erupted millions of years ago, which may have triggered the significant mass extinction. Tiny fossils dating back about 220 million years have been found in Colorado and may add a chapter to the history of legless amphibians, according to a study published in the Proceedings of the National Academy of Sciences. Chinlestegophis jenkinsi appears to be a close relative of modern caecilians, and the find suggests caecilians' split with ancestral frogs and salamanders may have occurred much earlier than previously believed. A study of ancient cat DNA suggests that felines were tamed twice in history, first in the Near East about 9,000 years ago and again after a few thousand years in Egypt. Wild cats were likely drawn to farms by rats and spread throughout the world via ships, according to findings published in Nature Ecology & Evolution. Genes related to microbes' antibiotic resistance have been found in soil in Canada, according to a study published in Applied and Environmental Microbiology. The findings may give scientists clues about how antibiotic resistance evolves. The National Agriculture and Food Research Organization of Japan has started growing high-yielding biotech rice as part of a strategy to increase agricultural exports. Gene editing was used to change the plants' hormonal balance, increasing the number of husks and the size of the grains. Nuclear neurology, which includes imaging modalities PET, SPECT and scintigraphy, offers increased accuracy in diagnosing and treatment monitoring of Alzheimer's disease, brain tumors, Parkinson's disease and other neurologic syndromes, writes Dr. Robert Miletich of the University at Buffalo. Researchers are also gaining a clearer understanding of epigenetic regulatory mechanisms, which also may yield targets for nuclear neurology and guide development of neuroregeneration interventions, Miletich writes. 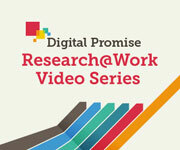 In this Digital Promise Research@Work video, learning scientist Kylie Peppler introduces embodiment, or learning through movement, in science learning. She recommends providing children with playful invitations to explore scientific concepts and complex systems in the world around them. Watch now. The National Science Foundation has awarded a grant worth almost $1 million to an assistant professor of biological sciences at Oakland University in Michigan to study the amphibian disease chytridiomycosis, considered responsible for mass extinctions of the creatures. Thomas Raffel's research will examine how the parasite is affected by temperature. Cancer Council Western Australia has awarded an approximately $380,000 fellowship to Jason Waithman of the Telethon Kids Institute to develop a vaccine for melanoma. The immune-based therapy would be personalized for individual patients, matching their own cells.